But it's all good now between these two! 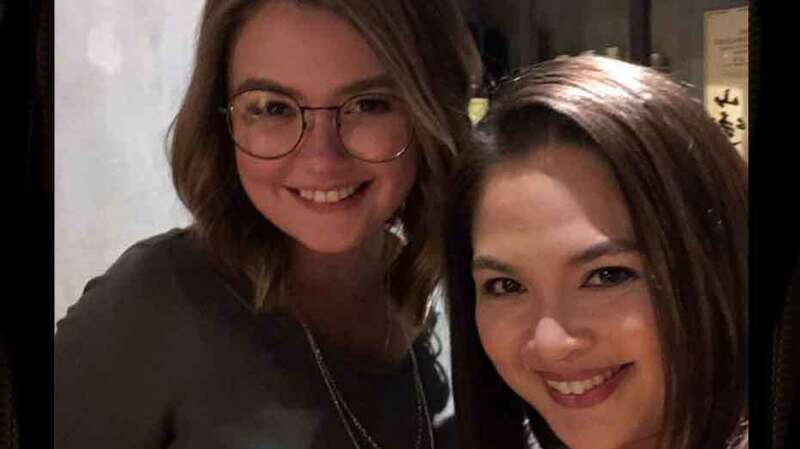 Ang Dalawang Mrs. Reyes co-stars Judy Ann Santos and Angelica Panganiban have been very vocal about their stronger bond, which developed as they worked together for their latest film. They weren’t always close, as Judy Ann recently revealed. In an interview on Magandang Buhay, the 39-year-old teleserye queen said she had an issue with Angelica before. Angelica and Judy Ann first worked together in the 2001 primetime show Sa Puso Ko Iingatan Ka. For Judy Ann, her frustration stemmed from the young actress’ way of dealing with conflict in her relationships. While she kept mum about the details of Angelica’s love troubles at the time, Judy Ann notes that the two have become really close friends while filming their latest project together. Turning emotional, the two have then expressed how their friendship has grown since they first knew each other. Angelica shares, “Kasi, sabi ko nga sa set, lagi naming lokohan si Winnie the Pooh. Sasabihin ko, ‘Buti pa si Winnie the Pooh may honey, ako wala.’ Tapos noong natapos ang pelikula, para akong, ‘Bakit ganoon, miss na miss ko yung ate?’ So, parang feeling ko ay may forever na ako this time. Hindi pala yung forever ay makikita mo lang sa boyfriend. Puwede mo palang makita 'yan sa kaibigan mo o sa itinuturing mong kapatid mo." A tearful Judy Ann then replied, “Pakonek nang pakonek sa akin ito, e. May ganoon ako talaga. Ewan ko, siguro ganoon ako sa kaibigan ko, sa mga katrabaho, na hindi ko sila basta katrabaho lang. Ewan ko ba dito!" Now, that’s some serious #SisterGoals right there.